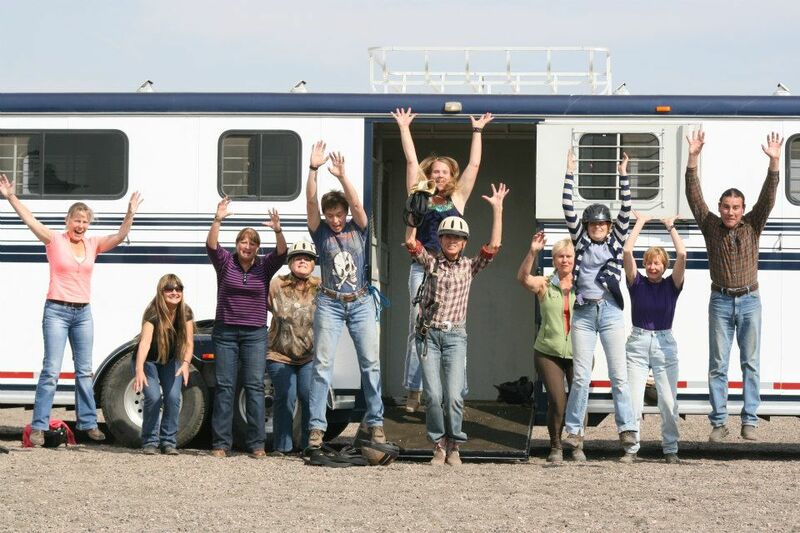 This year’s Holistic Horse Course was held at the beautiful Zuma’s Rescue Ranch in Littleton, CO. Not only did the students learn a lot, but they had fun doing it. I have been wanting to come to this training for a couple of years, now. This course was worth the wait. I have learned so much! Totally awesome 2-weeks, loved and learned every single minute of it, not just about horses but the whole holistic picture and the interconnectedness of the all in terms of energy. Will take away many, many tools that will help me in all areas of my life. Total respect and admiration for Anna. Anna Twinney has created and perfected the single most comprehensive horsemanship program I have seen anywhere. She brings to the table amazing skills, talents, gifts, and ultimately- magic – and possess also the unique ability to successfully and honestly impart theses skills to her students. She teaches all aspects of horsemanship – not just techniques – with a high standard of ethics like no other. I would suggest there is no other human being with a greater connection to animals and their well-being, than Anna Twinney. A great 2-weeks with so much new learning and so many new experiences. I still don’t really know what my path is with horses. Perhaps, when I return home it will all unfold. Fantastic 2-weeks. I have gained confidence in handling different horses. I enjoyed the challenge of getting out of my comfort zone and working with my energy level to gauge the different horses. My instincts were honed in this course. Life changing experience. 2-weeks of giving and receiving unconditional love to and from the horses. A physical and spiritual challenge to feel the incredible;e energy from Anna and her team as they pushed us towards excellence. Zuma’s Rescue Ranch is ther most beautiful horse rescue that I have ever seen. Jodi, is an amazing woman who has created a safe, healthy and nurturing learning experience for the horses. Each horse I was privileged to work with had its own story. Anna has an amazing gift. The skill set she passed on to all of us to develope our natural horsemanship will stay with us a lifetime. The entire learning experience is indescribable on so many levels. It goes beyond what I have experienced with other horse training clinicians. She takes the lessons to the next level. Extremely rewarding experience that I would recommend to anyone who truly wants to go beyond the more traditional methods of horse training. If you have ever asked yourself, “Is there more to learn?” then you need to discover Anna’s training methods and experience them for yourself. Previous postLearn Talk to the Animals like Dr. Dolittle While on a Dream Riding Vacation!